The following email (document) was discovered in a court discovery process during the Kingsland Estate court case (those unfamiliar can search BU archives) which has been ongoing for over a decade. The BU household accepts that it is a family feud but the revelations arising from the case so far are of national interest. The document attached is a summary of a telephone call that took place between Barbados Labour Party member of parliament at the time William Duguid and Kathleen Davis in May 2008. Davis is related and associated with Marjorie Knox, a key player in the Kingsland Estate matter. The document gives an insight into the thinking of the political class as it relates to implementing Integrity Legislation in Barbados. BU is of the cynical view that the enactment/proclamation/operationlizing of Integrity legislation will never be implemented by the political class. Chuckle….stale news,third hand and hearsay to boot…….not good enough for anything other than a known insight into the Dean/Knox/Simmons situation and file 13. Not that I expect the political class to enact FOI or IL. Some matters that you are unaware you should desist from comment. One can only comment on what is in front of you. Where this a new revelation we all would be surprised. It is not in the best interest of the political class to go the route of integrity far less to look seriously at laws to protect the public purse for their various corrupt activity.However, they must be forced into that direction as the evidence for ITAL, anti corruption laws, and whistle blower legislation is serious needed base the years of scandalous revelations proving that both parties have their various get rich schemes in place. What protections are needed for good financial practices must now be decided by the people and no longer by the political class who cannot be trusted to do right by the people. If the political class do not introduce it voluntarily locals will have to lobby the support of the US,Canadian,UK and EU Embassies/Commissions to make it mandatory legislation in order to access concessionary loans or grants.I am surprised that not one of these bodies has commented on the propaganda, taxpayer funded, sole TV station which daily distorts and misleads and confuses the electorate and that seems acceptable to their watchdog divisions.Case in point the US State Dept just released a report critical of the local Police.Justified perhaps but what about the daily executions of black Americans which go un-punished compliments of the laws which permits a rogue cop to plead self defense on account of ‘feeling threatened’.12 year olds are even included in the armament of lies deception and deceit practiced by white police officers upon black or other minority citizens.A 20 year old Viet student just killed because he was holding a pen.A compassionate cop intimidated by 2 white officers and then shot by another jackass fellow officer.State dept should be the last to complain of Barbados police as though the Force is reeking of rogue cops.The old mote and beam parable. No integrity legislation and they will all end up like Simmons….a lost seat on the CCJ because he coukd not pass the integrity smell test, they will all be confined to their corrupt pit on the island. There must come a time when serious major decisions cannot be left up to the political class to be decided upon any longer. The evidence that they have been looking after their interests for years is plain and clear to see. They are crooks, and it is better to call them that since they want Barbadians to believe they are honest, and yet when the controversies come a arising, the stops are pulled to hush the matter or water it down with alternative facts. The pressure must be placed to have all the necessary legislation put in place to protect a small economy that is vulnerable and subject to various pilfering schemes. A petition needs to be aired just like the stances took against the Cahill Project for Integrity, Transparency, Accountability , anticorupption legislation, whistle blower legislation and increase powers to the auditor general. The fact that none of the political parties pay no attention to it is reason enough to petition the matter under the people’s say. DAVID WE NEED AN ONLINE PETITION! When ‘Solutions’ was first touted in the blogs as the next party in waiting it did not excite me because I did not read into it that ‘INTEGRITY LEGISLATION’ was a matter of priority. I hope however, that this would be expressed in one of the founder’s postings on how important this topic is for him to succeed in defeating the TWO incumbent parties. If Solutions or any other party for that matter fails to address this important issue in its manifesto, the voting public should stay at home on election day. Successive governments have failed Barbadians for far too long. Changes can be made if we together use our vote to bring this about. To vote for any party not willing to introduce and implement this legislation will be a wasted vote. Please don’t waste your vote in 2018. 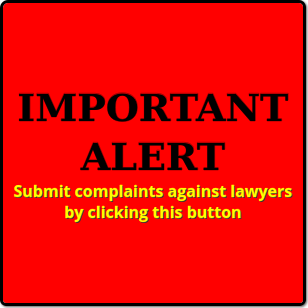 The FTC has ruled in the SOL case and it’s very serious when governments break the laws of the land to suit their own agendas, it sets a very dangetous precedent, no wonder certain business people set up fraudulent companies to win cases in the supreme court, set up fraud companies to rob Bajans…both governments set that example. None of them have integrityand not implementing integrity legislation will hurt the osland significantly.., all because govetnment ministers are hellbent on hiding their crimes and the crimes of those they psrtner with…against the people and island. Can the BU intelligentsia distil this report please! Wall Street Journal says leaked email describes how Low wanted to purchase bank in the Caribbean Island as a ‘parking spot’ for his own funds as well as friends and family. 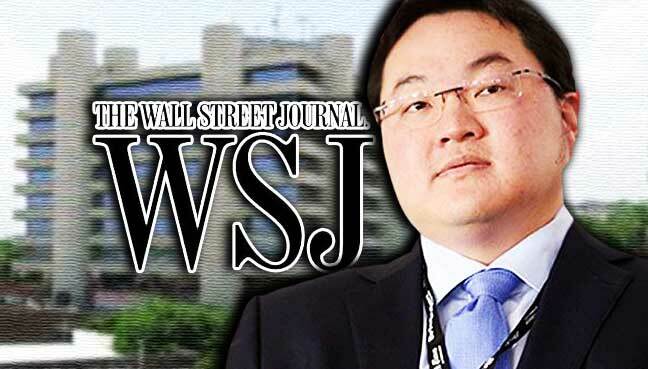 PETALING JAYA: Malaysian tycoon Low Taek Jho or Jho Low, who has been implicated by the US Department of Justice (DoJ) in the alleged misappropriation of funds linked to 1Malaysia Development Bhd (1MDB), had reportedly considered a move to buy a bank in Barbados to safely stow away money there. The Wall Street Journal reported on Friday that this was revealed in leaked emails connected to Yousef Al Otaiba, the United Arab Emirates’ (UAE) ambassador to the US who is said to have had dealings with Low, and his business partner Shaher Awartani. It said Low, 35, was cited in one email as saying he wanted the bank to be acquired with a company owned by Al Otaiba and Awartani as the official buyer, to serve as a “parking spot” for his funds as well as those of his friends and family. The report said Low had taken a 55% stake in the 46-story building and sold part of the stake to Abu Dhabi sovereign-wealth fund Mubadala Development. On May 5, 2015, Low was again described in an email addressed to Al Otaiba by a Dubai-based financial executive working at a company controlled by Al Otaiba and Awartani, as having instructed the men to close their accounts at BSI Bank, a private Swiss company, the report said. “He has moved the major assets and accounts away from BSI, with some remaining which will be closed/transferred soon,” the executive was quoted as saying of Low. The executive also wrote that Low discussed buying a bank in Barbados for him to stow money, with a Dubai investment company controlled by Otaiba and Awartani as the official buyer, the report said. …..as long8ng as no government bribery is involved. I dont see why not, but knowing the small time government ministers in Barbados, they would take pennies from this dude for personal gain and give him free rein. He has the money to pay heavily to the island for any such transaction. …..JPMorganChase and other conglomerate banks do it on a daily basis for their living, dying and deceased customers…and they do it very well too. Wanting or considering to purchase a bank and being given the permission to do so are two different things. However, what is of grave concern is the fact that he single out Barbados as the place where he could stow his money as well as money for others under circumstances that questions his financial practices. This sounds to me like a decision made in absolute comfort as the contemplation seems to be that he could ‘launder’ his money without consequence in Barbados. The truth is, this does not present a good reputation for Barbados, especially along lines of a country ”that should be known for its habits in overseeing its financial systems with stringent regulatory controls”. It makes you wonder why Barbados and what reasons or would be advice was given that would have been good enough for him to consider buying a bank in Barbados. Maybe it has to do with the fact that high flyers with nuff money can still walk around Barbados without fear because state officials are close friends with them; or perhaps sitting members in the house of assembly can refuse to pay old gentlemen their court awarded dues without consequence; or place their millions in their mother’s account; or the fact that an outstanding son of the soil can be told to bring your money and we will keep it in the Central Bank of Barbados; or the knowledge that persons implicated in a forensic report for an inappropriate financial practice that resulted in them getting 3.3 million can still earn the respect of the political class and their deeds ignored. Whatever it is, it is coming over to me that Barbados is the place to stow money and gain respectability. All you are doing is showing the fowl in you because the first thing should be the AG and minister of commerce provoking Duguid with nasty slurs in the porakey parliament. Duguid should have been the bigger person, not only literally but figuratively as well. Stop giving away taxpayer’s and pensioners money to minorities and pocketing bribes fir yaselves DBLP governments. “A POLITICAL ACTIVIST has called on the political class to “stop taking taxpayers’ money”. The trade specialist, who lost the Barbados Labour Party’s nomination for St James South to Sandra Husbands last October, declared to the scores who were in the school’s hall that the island could not continue in a game of “political musical chairs” where a few were enriched “by one or the other government”.